kathleen dames: "It's the best day ever!" SQUEE!!!! 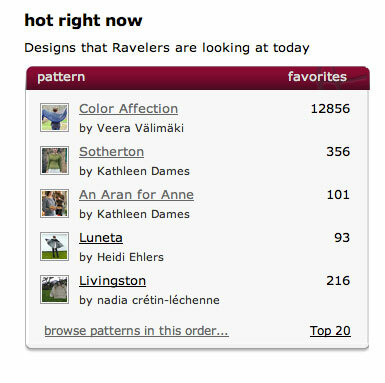 After Veera's lovely Color Affection, which is blowing up right now thanks to the Yarn Harlot's latest FO, my two sweaters were "hot right now" all day yesterday. As of this writing Sotherton has 540 hearts, and An Aran for Anne 144. That's in, like, one day. I've never had a day like that, and it feels so very, very nice. To be honest I've been moping around a little this spring. After banging out two sweaters and three patterns in a month-and-a-half, I was pretty fried, mentally and physically (my hip is still kind of wonky from sitting in my "groove" on the couch knitting away for such long stretches--clearly I need to follow Rebecca Watson's advice in the Summer 2012 issue of Interweave Knits). That's on top of all the usual family wrangling and presiding over the PA at Penelope's preschool and my ex's father passing away and, just, life. Then I had to whip my existing patterns and Avast No. 1 into shape for print to do the trunk show in March, which reacquainted me with my Art Director muscles. The dreaming-up and knitting-up portion of this job I'm creating for myself are the parts I love, and the wrestling with spreadsheets and numbers gets my inner geek going, but the sales and marketing parts are challenging for me, so I'm working on that. I purchased Tara Swiger's Market Yourself the other day (though I'm having a problem with the download that has yet to be resolved) and am exploring all the ways to get myself out there more (for a homebody like me, that's more challenging than you might think). Eeeee! Congrats on all the Ravelry love :D That kinda thing feels pretty good, I'm sure! 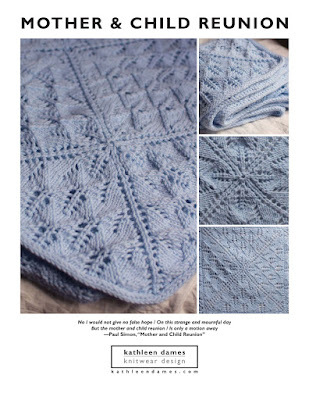 And thanks for the mention, btw ;) It's hard to stop knitting when you get in the groove (quite literally in your case) but well worth it in the long run. Here's to the best day ever! !